97% of developers will fail you. We are the other 3%. Get access to power. Where are the Opportunities for Machine Learning Start-Ups? How Much Memory Does A Data Scientist Need? 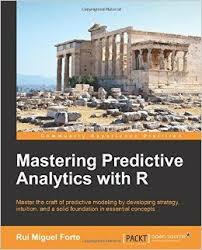 "As a data scientist lead, I found this to be a book that is full of clear explanations on the important topics you need to master predictive modeling... The code samples provided with the book are very well organized and make it trivial to pick up and execute examples from anywhere in the book. I'm currently recommending this to everyone who joins my team..."